While there are many projects homeowners can do to maintain their landscape, when it comes to tree services it’s always better to err on the side of caution and call in the help of a professional. Tree services include pruning, limb removal, stump grinding, and tree removal — all of which are best left to a specialist who has the expertise and equipment to tackle them in a safe manner. If a tree on your property is too big, too close to your house, or dies as a result of old age, disease, insect infestation or storm damage, it becomes a major liability and tree removal is a necessity. Removing a tree safely requires years of training, as well as special tools and equipment. Attempting to remove a tree by one’s self in order to save the expense of hiring a professional can result in a serious accident. A variety of scary things can happen when you choose to remove a tree on your own, especially if it’s near power lines or underground cabling. Branch and tree removal is unpredictable, and if any part of the tree falls the wrong way, it can result in a substantial amount of damage to your or your neighbor’s property. According to a study released by the United States Occupational Safety and Health Administration (OSHA), more fatalities result from improper tree trimming than any other logging activity, so it is not a job that should be taken lightly—and it’s certainly not worth the personal risk. 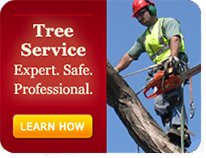 For over 80 years, Lucas Tree Experts has been a leader in the professional tree service industry. We are highly trained in all aspects of tree care, and we are an accredited company of the Tree Care Industry Association (TCIA). This accreditation is important to us, because it lets our customers know just how seriously we take our work. TCIA was created to help consumers find expert tree service companies that have the highest safety and performance standards. We have been inspected and accredited based on maintaining industry standards for safety and quality, ongoing training of our staff and commitment to ethicality in all that we do. We aren’t just a business that specializes in professional tree care; we are a group of people who are deeply devoted stewards of the environment. When you hire Lucas Tree Experts, our professionalism, integrity and high standard of excellence shines through in the quality of each and every service that we perform. Pruning is a key factor in proper tree maintenance; it helps to ensure the longevity of your trees and make them more resistant to damage caused by storms, disease, pests, drought and cold weather. In order for pruning to be done correctly, knowledge of the particular tree structure, growing habits and protective mechanisms is necessary to prevent damage. Proper tree pruning is important for several reasons; it promotes better air circulation and light penetration, enhances the beauty of trees by shaping them, and ensures that any loose or unsafe branches are removed before they have the ability to cause property damage. Trees often grow with structural defects that, when left untreated, have the potential to cause splitting or trunk failure that could result in personal injury or property damage. These structural defects can often be alleviated by cabling and bracing, which is a method of strategically attaching steel cables and brace rods to strengthen weak branches or even entire trees. Deep root fertilization is a process that involves a high quality nutrient solution being injected into the root zone of a tree. This method of fertilization helps to aerate the soil, provide proper levels of oxygen and nutrients, encourage root growth and make trees more resistant to disease and insect infestation. Over time, periodic injections improve the overall health of the root zone and its surrounding land. When tree repair is not an option, removal is the only way to ensure that it will no longer be a danger to your property. In order to have as little impact on the surrounding landscape, tree removal needs to be done skillfully, and with proper equipment. As part of the removal process, grinding the stump into the ground is not only minimizes its unsightly appearance, but makes the process of mowing easier. It is a common misconception that trees are strong enough to withstand ever-changing elements and constant distress over time without consequence. 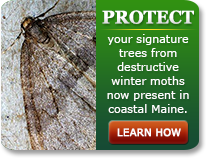 Trees are more fragile than most people understand, and need help from time to time to stay healthy and durable. Professional tree services can maintain the beauty and integrity of your trees, and regular services considerably increase your overall property value. Investing in the long-term health of your landscape is oftentimes overlooked, but it is one of the wisest investments that you can make. If you are in need of professional tree trimming, tree removal, stump grinding or treatment for a sick tree, we can help solve the problem and get your trees and your yard back in tip-top shape. For more information about our residential tree care services, call us today and find out how Lucas Tree Experts can help.